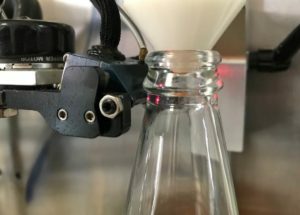 The presence on t he external surface of the bottle of a homogeneous and adequately thick coating of SnO, also called hot-end coating (deposited just downstream the forming machines in a dedicated treatment hood), is of fundamental importance for the good adhesion of the subsequently overlayed cold-end treatment (a polymer coating sprayed on the containers at the exit of the annealing lehr), that with its anti-friction functions protects the bottles from abrasions that may occur during their handling and transportation. 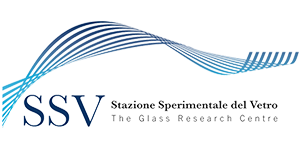 SSV is capable of verifying the presence and of measuring the thickness of the hot-end treatment deposited on bottles of various sizes, both on the lateral surfaces (body, shoulder, etc.) and on the area of the mouth (“finish”).